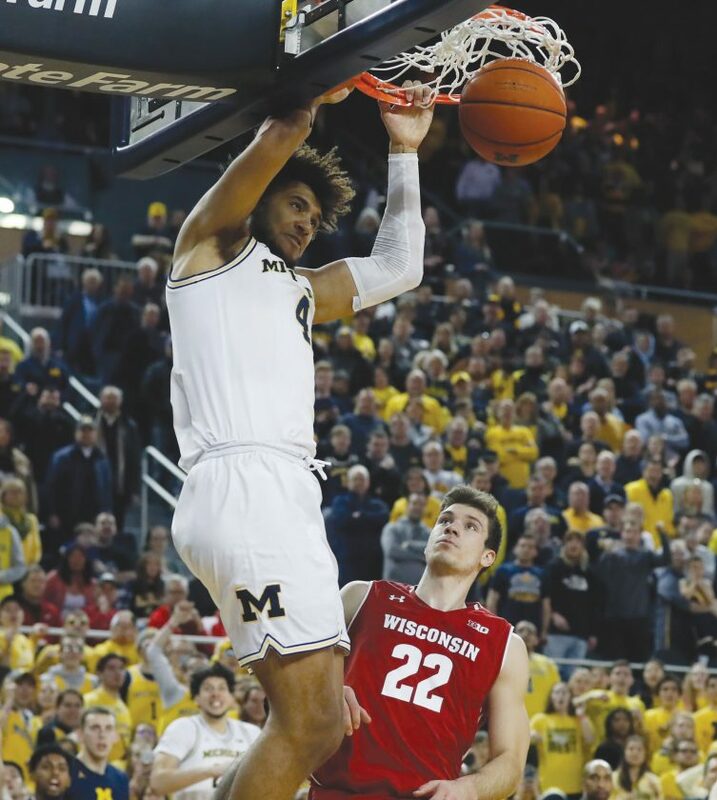 AP Photo Michigan’s Isaiah Livers dunks during the second half Saturday in Ann Arbor. AP Photo Former players on Michigan State's 1979 national championship team, including Magic Johnson, front row from left, Greg Kelser, Ron Charles and Terry Donnelly were honored Saturday in East Lansing. TUESDAY: The Badgers host Michigan State in another matchup with significant implications for the Big Ten title race. The Wolverines play at Penn State. EAST LANSING (AP) — Magic Johnson was back at Michigan State, joining his teammates to celebrate the 40-year anniversary of winning the national championship. Senior forward Kenny Goins played just 7 minutes in the first half and didn’t play after halftime because of a bruise on his left elbow. 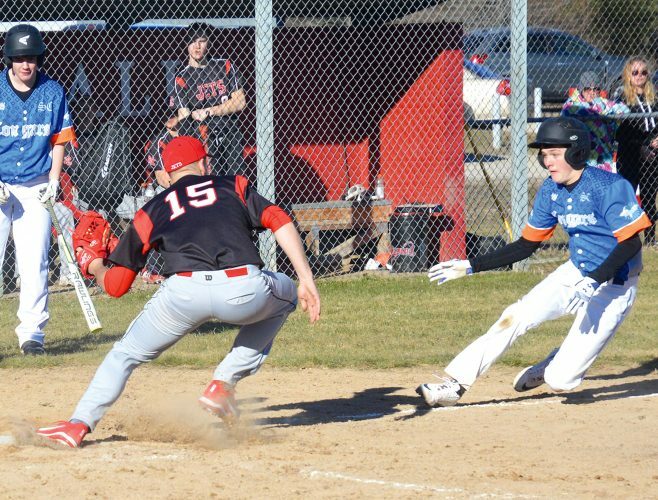 X-rays were negative, but Izzo doesn’t know if or how long Goins will be out. 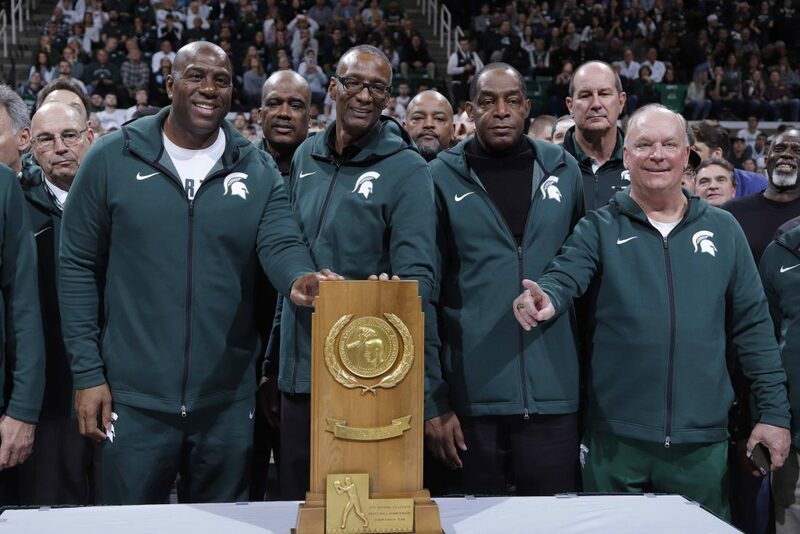 AP Photo Former players on Michigan State’s 1979 national championship team, including Magic Johnson, front row from left, Greg Kelser, Ron Charles and Terry Donnelly were honored Saturday in East Lansing.